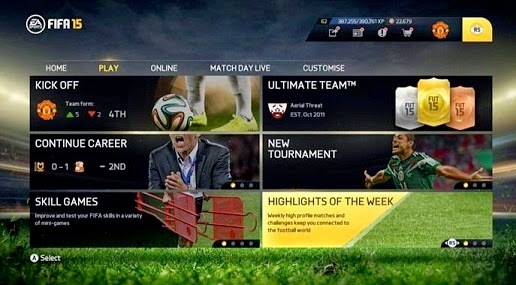 FIFA 15 has the Highlights of the Week game mode, which is inspired by real events in the fields to recreate the most exciting experiences of football in the game. On the way, you can control teams or players that stood out during the week. Check Out. Step 1. From the main menu of the game, go to the "Play" tab. Step 2. Select the mode Highlights of the Week and press A / X. Step 3. On this screen, the current events are available that are temporary. On the right side of the screen, you can read the highlighted information, as well as the goal to be achieved. Step 4. Also available are of the Week Games, important games that will take place in the coming days, where players must choose a side and lead the team to victory. Step 5. Once you choose the event you want to play, is Jora to set the difficulty. Note that the more difficult the higher matches the prize XP in the case of a win. These points can be used in the game to purchase new uniforms packages, cleats, balls and even loan for players in the Ultimate Team mode.